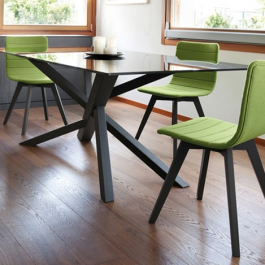 Rectangular table, extendable. Lacquered steel plate and post. Tempered glass top and leaves. 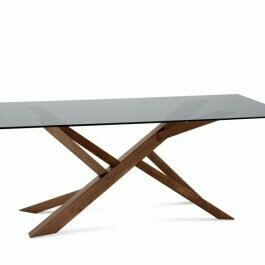 Like its name this table is inspired by nature and calls to mind a stylized tree with irregular branches. 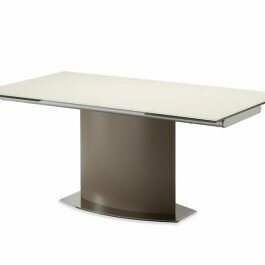 Made of solid wood with a glass top, it is a sculpture-like table with strong features.